Left: This combination of file photos shows the nine black teenagers who had to be escorted by federal troops past an angry white mob and through the doors of Central High School in Little Rock, Arkansas, on Sept. 25, 1957. 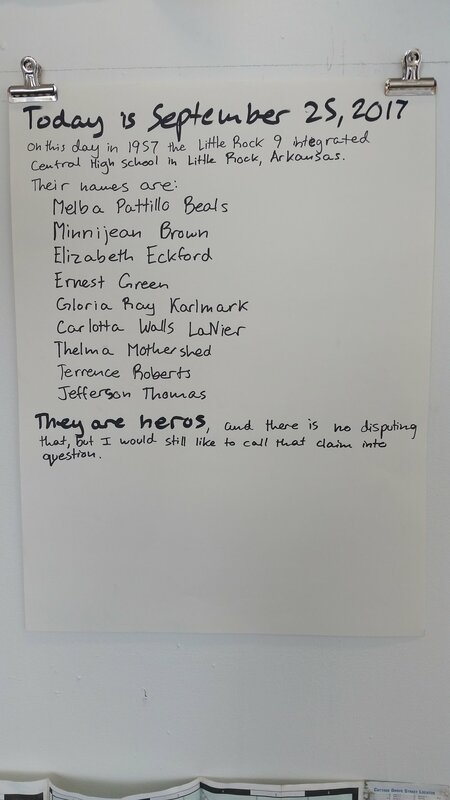 Top row from left are Minnie Brown, Elizabeth Eckford and Ernest Green; middle row, Thelma Mothershed, Melba Pattillo and Gloria Ray; bottom row, Terrence Roberts, Jefferson Thomas and Carlotta Walls. 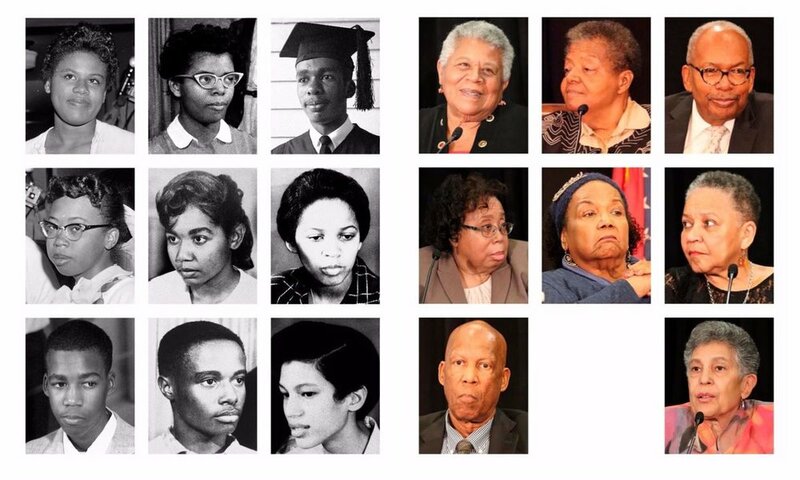 Right: Top row from left are Minnijean Brown Trickey, Elizabeth Eckford and Ernest Green; middle row, Thelma Mothershed Wair, Melba Pattillo Beals and Gloria Ray Karlmark; bottom row, Terrence Roberts and Carlotta Walls LaNier.